Jazz 91.9 broadcast 24/7,they play nonstop jazz music live on the internet. 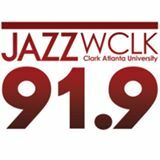 With having quality internet connection listeners can enjoy Jazz songs from anywhere in the world at any place with Jazz 91.9. To make the youth connected with the music world they decorate their playlist with songs that youth will love. Jazz is a music genre that originated from African-American communities of New Orleans in the United States during the late 19th and early 20th centuries. It emerged in the form of independent traditional and popular musical styles, all linked by the common bonds of African American and European American musical parentage with a performance orientation. Jazz spans a period of over a hundred years, encompassing a very wide range of music, making it difficult to define. Jazz makes heavy use of improvisation,polyrhythms, syncopation and the swung note, as well as aspects of European harmony, American popular music, the brass band tradition, and African musical elements such as blue notes and African-American styles such as ragtime. Although the foundation of jazz is deeply rooted within the black experience of the United States, different cultures have contributed their own experience and styles to the art form as well. Intellectuals around the world have hailed jazz as “one of America’s original art forms”.